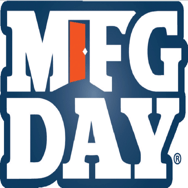 Since 2012, the first Friday of October has been designated as Manufacturing Day℠ or MFG DAY to celebrate manufacturing successes. This year it is October 5, 2018. The National Association of Manufacturers (NAM) produces MFG DAY annually with support from the Hollings Manufacturing Extension Partnership (MEP) and the Manufacturing Institute (MI). Each year, manufacturers invite a variety of audiences (businesses, students, media, etc.) to their facilities to educate them about all that manufacturing encompasses and the industry’s career possibilities, ultimately improving perceptions about manufacturing. On Friday, September 21, 2018, Governor Brown signed Assembly Bill 1547. Authored by Assemblymember Sharon Quirk-Silva, AB 1547 eliminates the California Industrial Development Financing Advisory Commission (CIDFAC) and, as a result, removes a barrier for small-to-medium sized manufacturers trying to access low-cost financing through Industrial Development Bonds (IDBs). Since AB 1547 has been signed into law, manufacturers can now access financing tools more easily and build facilities at a lower cost than as previously administered through CIDFAC.